Financial institutions, historically, have had enough to worry about. With new technology disrupting the industry at an exponential rate, and more variables coming into play constantly, what FIs need is a little something to help sort through the mass amounts of data. Enter Basis Technology – a company whose goal it is to help you make sense of said data and to turn it into something usable. 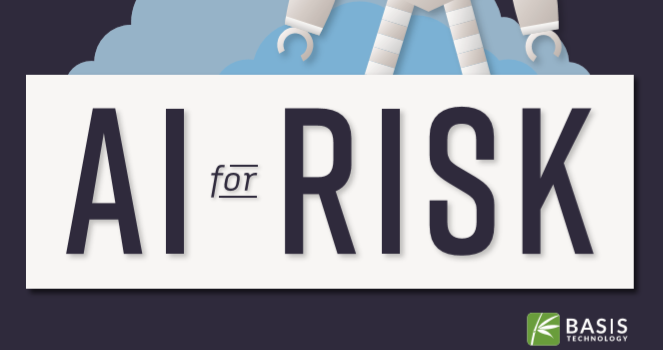 Recently, I spoke with Alex Detmering – the head of marketing strategy for Basis Technology – to discuss The Honest Guide to AI for Risk, a short guide that provides background on AI and its role in risk management. Tell me a bit about your background, your current job, and your place of work. For the past five-or-six years, I’ve been working in finance and tech. I started that path at Ripple, the firm behind the well-known digital currency XRP and the Ripple payment network, as a contributor and blog editor. After Ripple, I became the head of marketing at Prattle, a tech startup that uses natural language processing technology to understand the relationship between language and asset pricing. One of the biggest projects I took on at Prattle was the production of How the Fed Moves Markets, published by Palgrave MacMillan. The book took a look at how AI tech can help us understand market impact of central bank communications. It was actually the first thing I did for the company, and it really woke me up to what recent advances in NLP could mean for business processes. Now I’m the head of marketing strategy for Basis Technology, a company with over 20 years of experience applying AI to the human language. What attracted me to Basis Technology was the brilliant work their engineering team has done in NLP and the track record the firm has with solving real-world problems. Lives have been saved by some of the AI tech they’ve produced, and I think that’s pretty incredible. Tell me about The Honest Guide and why you decided to make it. I tried to accomplish two things with The Honest Guide to AI for Risk: first, talk frankly about AI, its past to its present and, second, take a look at how the technology could actually impact the risk technology space. AI, as a public phenomenon, has been a rollercoaster. Since the christening of the term back in the mid-50s, the hype around the technology has ebbed and flowed in such a reliable, season-like cycle that these periods have earned the monikers “AI winter” and “AI summer.” Now we’re in the summer of AI summers, and those even half-familiar with the history are sensing that potential is posing as actual a little too much for comfort. So I wanted to start The Honest Guide by talking about the technology in clear terms. 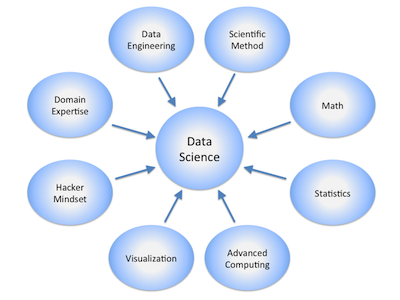 I wanted to demystify machine learning and decode deep neural nets. I wanted to cut through the hype. If I could do that well, I thought I could earn the trust necessary to talk about industry applications. I find the application of AI and risk technology fascinating. Managing risk is all about knowing, and AI technology has such potential when it comes to helping companies know. The internet has brought about an explosion of information: more data has been produced in the last few years than in the rest of human history combined. So the problem isn’t the existence of the information you need to know to manage risk effectively. The problem is finding what you need to know in an ocean of other, not-so-relevant information. It’s a needle in a stack of needles dilemma. To me, this is a problem that can only be addressed by AI technology. 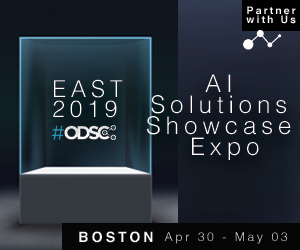 AI applications that exist now can sift through and surface meaningful insights from mountains of structured and unstructured data. Is this person who they say they are? Are there new regulations that impact my business? Which of these thousands of transactions are worth investigation? There are questions that you can answer immediately, and that provides extreme value. Who is THG meant for? How do you see others benefiting from using it? From tech vendors to financial institutions, I think pretty much anyone in the risk technology could find it to be a useful primer. Even if you’re not, the first chapter is a good introduction to AI’s history and core concepts. As for specific benefits, I hope it helps readers clarify nebulous concepts and put a fence around the boundless expectations headlines can inspire. For those in the space, I think it could also help them visualize how they could integrate AI applications into their processes and workflows. What success have you seen from THG so far? Any feedback from others? Feedback has been extremely positive. We’ve gone through our first print, had it picked up by a widely read fintech publication, and seen downloads from many of the biggest firms in finance. One of the coolest bits of feedback I’ve gotten is a handwritten letter from the head of a major regulatory organization. He loved it, and it’s on my refrigerator right now. What are some of the biggest current problems with risk, and how can AI address it? Resolving identities is a pretty big problem. Financial institutions are bound by law to know who they are doing business with, and it’s incredibly difficult to do thorough checks at scale. The relevant information is embedded in all kinds of data sources and in a huge variety of languages, and a fast and accurate means of taking on this challenge is desperately needed. Of course, I’m biased, but I think NLP technology is the right solution to this problem. 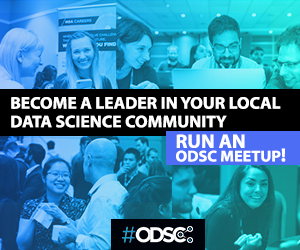 The set of related data can only be described as machine scale, and NLP has matured to the point where it can analyze this data in all its diversity and return the intel that matters to human analysts. I think it’s only a matter of time before everyone facing the identity resolution challenge turns to AI for answers. The history of AI is a fascinating thing. Think of the most amazing insight you had in a philosophy or psychology class and multiply that by an order of magnitude, and then you’ve set the right expectation for the level of wow you’ll get reading up on AI. Most philosophical insights, no matter how impactful, are firmly embedded in the abstract: Descartes, “I think, therefore, I am,” is profound, but it doesn’t get you much closer to building a digital mind. What AI researchers have had to do is take the deepest insights in these fields and push them to point that they can be translated into computer processes, and I think that this is an astounding feat. For anyone with an introspective bone, I think AI is the field of study they’ve been waiting for. Alex Detmering has spent the bulk of his career in AI. As a creative and marketing professional, he enjoys translating complex concepts into exciting ideas. Alex loves most sports—especially Tennis, Olympic Taekwondo, and CrossFit. He once did over 4000 full burpees in a day. He is an avid reader of philosophy, things with “ology” at the end, and literature in general. Basis Technology is the leading provider of software solutions for improving sales, reducing risk, and saving lives by extracting meaningful intelligence from multilingual text and digital devices. Since 1995, Basis Technology products and services have been used by over two hundred major firms including Amazon, Google, Microsoft, Lockheed Martin, and governments around the world. Rosette, Basis Technology’s proprietary linguistics platform, is the world’s most widely-used family of commercial software products for multilingual information retrieval. For more information, visit www.basistech.com. 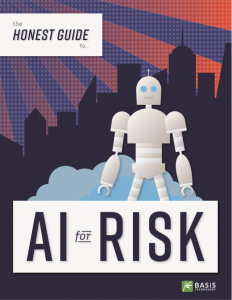 Download The Honest Guide to AI for Risk here.